We finished this book wall art installation for my daughter’s bedroom and I had to share! My girl is a veracious reader, and LOVES books (like her mama) so we thought what better way to fill this wall space above her book shelf? 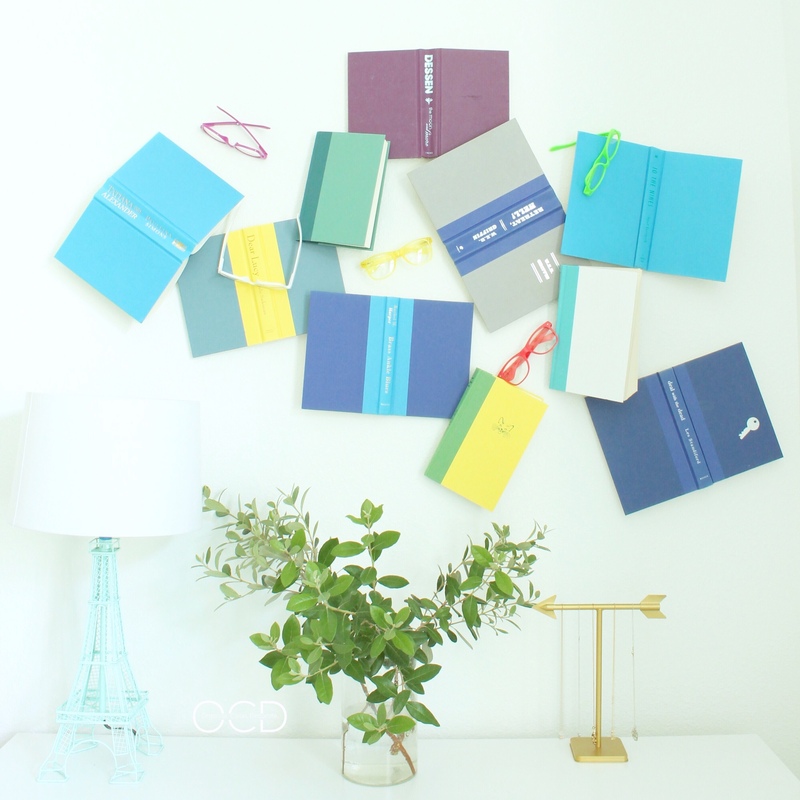 If you don’t mind putting a bunch of holes in your wall, it is a fairly easy project! Once I came up with the idea, we set out to find cheap, colorful, hardcover books. I wanted the books to match the decor, and I wanted them to be the “cloth” hardback type of books. Our first stop was the library. It’s was the closest and most convenient for us. As luck would have it, there was an awesome sale going on! 4 hardcover books for $1! I was able to snap up EIGHT books for just TWO dollars!!! I paid a whopping TWO additional dollars for the other two books, for a grand total of FOUR dollars for ten books! Yup! I was feeling pretty dang good at this point. Not only did I not have to go trekking across town, I spent less than I had anticipated! Wooohoo! We decided adding some colorful “nerd” glasses would be a fun addition to the wall- I had purchased several for Senior Nerd Night back in May for the graduating high school seniors in our church and had some left over. I bought them very inexpensively. To attach the books to the wall, I simply opened them about halfway through the pages, placed them face down on the wall, and flipped the cover back. Once I had the book placed where I wanted it, I took a screw, and using my cordless drill, drilled the screw right through the book pages and into the wall. When the book was secure, I flipped the cover back into place and it covered up the screw.